Now that we’re officially into March, it’s been one full year since the launch of Titanfall, the first game from Respawn Entertainment. It had a lot of hype going in – a new FPS IP from the creators of the Modern Call of Duty format. Add in that it was coming from EA – not Call of Duty‘s publisher Activision and the story was rich enough before the game even was released. There was extra pressure since it was also Exclusive to Microsoft – PC and Xbox only. And to tell the truth there was a lot riding on the success of the game for the Xbox One. It was the first FPS that really was built for the “Next-Gen” system’s abilities. Running on the Microsoft Cloud was supposed to keep lag at a minimum – and the game also had the ability for players to choose their server locations to help that further. The question then is, one year later, did the game live up to the expectations? The short answer is yes, but there’s a lot more going on here. Sure, it sold well, and had a pretty solid player base for a while – although the numbers have really dropped. I played a couple games this week to refresh myself and the biggest player count was in Attrition with just about 6,000 worldwide players. But the impact really goes beyond the numbers with Titanfall. It gave the Xbox One some life early on in the console’s lifespan – which it really needed. The PS4 came in with a bit more receptive audience than the Xbox One, which you could argue is still the case, but with Titanfall the public began to look at the Xbox with a little more positive views. Having an exclusive, especially one that’s an FPS, was a huge plus for the early days of the Xbox One. 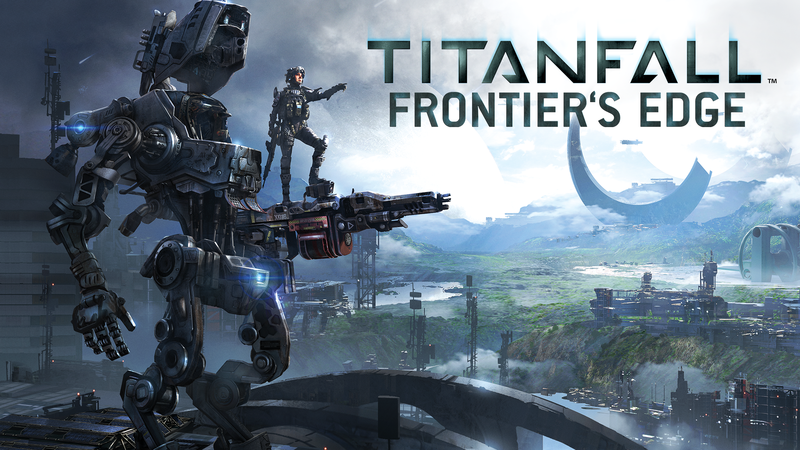 Beyond that, Titanfall also helped illustrate a fundamental shift in the design of FPS games. We’ve seen it now with Advanced Warfare and Destiny as well, and even in Halo 5. The days of waist high walls are seemingly past, and we now have games that are built around movement and speed. Each game has approached it in different ways, but I still think that Titanfall has done it best. The emphasis on wall running really helps keep the flow of pilot combat fast paced – it was rare to see much down time in a full lobby. Even the Titans had a lot more mobility than I think anyone really expected. Titanfall I think will end up being one of those games that in a few years, we’ll look back at as one of the first true Next-Gen games. It was a completely fresh take on a genre that’s as old as any – and one that tends to get stagnant after a couple years. Regardless of how long this trend of mobility-focused shooters lasts, Titanfall will have been the first one out. There’s really no way, without talking with all the developers out there, to know exactly how much influence the game has had right now; but I do think if we look at what FPS games look like at E3 we might be able to start to see just how important it was. The post-launch DLC season was kind of short – only three packs with three maps in each; but the season pass was also cheaper than usual – it was $30 instead of the usual $50. 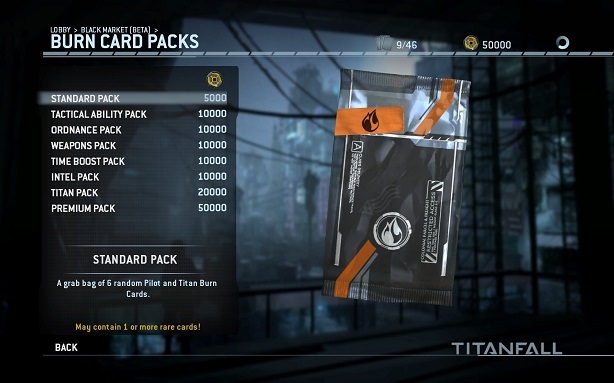 But Respawn also had a bunch of free updates that were rolled in with patches that added in tons of content – the Black Market for Burn Cards, Private Matches, Titan Customization and the Co-op Frontier Defense all were free content add-ons. I would have liked to see the player-base hang on to the game for a bit longer, but we’ll see how it goes with the sequel. While it hasn’t been officially confirmed, I think it’s a given that EA and Respawn will have a second game out in a year or so. What Makes a Perfect FPS Map? Now instead of just offering up my top 10 and calling it a day, which would be rather simple, I thought I’d look more at a top level here. Rather, let’s look at what exactly goes into what we could consider a perfect FPS multiplayer map. Let’s begin with our set-up. If you really break it down, the maps ultimately boil down to one of two set-ups: Symmetrical, or not. Generally, that focus helps determine if the map will perform well both as an objective map or as a free-for-all/deathmatch style one. That doesn’t necessarily mean that it has to define how the map will play – for example, Crash (from Call of Duty 4: Modern Warfare) – it’s an asymmetrical map, but it still manages to work in any game mode. Same with Blood Gulch (from Halo) – it’s symmetrical, but yet still works well for slayer games too. So the top down, overall arrangement is the first step – but it’s also got to be fitting for the scale of your player count. A big symmetrical map in a game that based more around close range encounters doesn’t make any sense and in the end won’t be a good map. It’s the problem with a map like Wasteland (Modern Warfare 2) – it’s a fine map, assuming you play it in Ground War, anything else feels too sparsely populated. So the next major factor to look into is size – large maps work as long as you’re building a game that works for large player count. 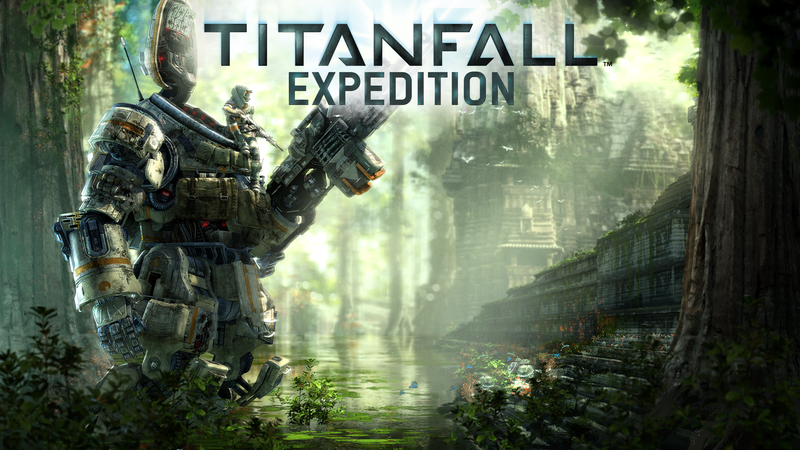 Look at Titanfall – all the maps are large to accommodate the Titans, and even though the player count is small (only 6) the population of A.I. helps make them still work. But if you remove the Titans, and the maps don’t work, same with if you had small maps with Titans. So, if we look at the final major factor, we can really get a feel for what our map will be. That final factor is the flow – all the extra little details that you put into the maps to direct players around it. Staircases for vertical play, objects for cover in firefights and routing for multiple paths all help give our map personality. The actual setting for the map really doesn’t necessarily matter – as long as it fits in with the setting of your game, that’s fine. If you took, let’s say, Facing Worlds from Unreal Tournament, and used the same design philosophy, but designed it with Call of Duty aesthetics and it could work – as long as you make sure that the flow still works. It’s not an easy thing to do – look at all your favorite games and I’m sure that you’ll find a couple maps that you just don’t like. For me right now, it’s been BioLab in Call of Duty: Advanced Warfare – I find the flow just doesn’t really work with the gameplay. Instead of having hotpoints to focus around, it just feels like the map is a constantly rotating set of hotpoints around the spawn zones. That’s really part of the issue across the whole Call of Duty series – so many maps across the games are great looking, well built maps that are saddled with the issue of spawning. But that’s the fun of games like this – one map that’s a miss can fuel the desire for the next game’s batch, and that could mean a classic one. This might be the best 6 months for the FPS genre I can ever remember seeing. Between Destiny in September, Call of Duty: Advanced Warfare and Halo: Master Chief Collection in the next two weeks; followed by Far Cry 4 and Evolve in the Spring, and Battlefield Hardline next spring as well, the genre is stacked with incredible games. That’s discounting Titanfall from this past spring, which I think really provided a major boost to the genre. With all of these great games on the horizon, I got to thinking about my history with FPSes. I thought it would be pretty cool to put down my thoughts here. I got started with shooters back in the glory days of PC shooters – the first one I ever played was Quake II. Gamers today think of CoD Vs Halo when they think of shooters, but really the first duality of games was Quake Vs Unreal. 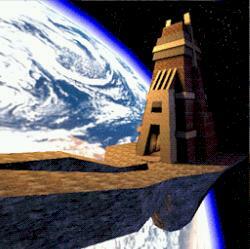 I was more of a Quake fan, preferring Quake II over the story-based Unreal games. When I started playing online I came on at the perfect time – Quake III and Unreal Tournament were just coming into their own. The style of shooter has really changed drastically over these last 20 or so years, arcade style shooters are essentially all but gone from the market. But the skills that I learned with those games are still incredibly important, even with all the new advancements. Playing the Crucible in Destiny has really helped bring those different aspects of my particular game into focus. From the old guard, movement was so important, with jumping in particular being a key part of the game. Which really boils down to the fact that the Rocket Launcher was king back in those days, and jumping helped to mitigate as much of the splash damage. That tactic has remained in my skill-set ever since. 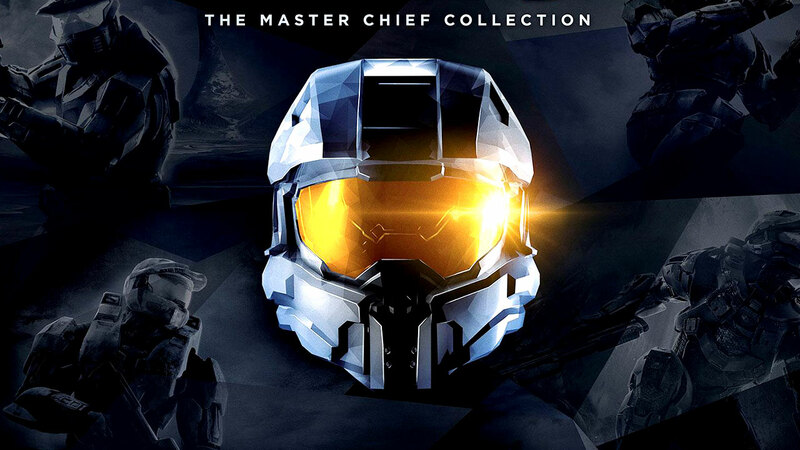 Which brings me to the next major game in my journey – Halo. That game sold me on the Xbox, convincing me to go out and pick up Microsoft’s first console. But beyond that, Halo may be responsible for shaping how I approach online shooters more than any other game. Strafing was so incredibly important in the first game, especially against other good players armed with that awesome pistol, that if you played Halo in any competitive way, you were all but guaranteed to get great at it. For better or worse, my first instinct in games now in firefights is to start strafing, using the same basic ideas I did way back in 2001. I also reload after every single gunfight, thanks to Halo, where you needed as many shots as possible. That’s gotten me killed more than I’d like in recent games where it’s not quite as important – especially in Call of Duty, where you only need a couple shots to kill; but it’s been ingrained in my game since then. 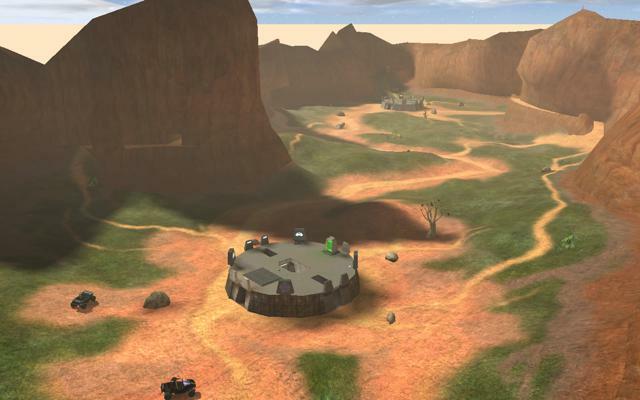 That said, the most important skill I took from Halo was map knowledge. It’s a complex skill that has a simple tag – when I say map knowledge, I don’t just mean knowing the layout of the maps, I intend a much deeper meaning. With Halo in particular, it was key to know when power weapons would be spawning, along with the power-ups, so you needed to keep timing in your head, along with their spawn locations. Now that weapon drops are basically a thing of the past, map knowledge really boils down to map flow. I pride myself on learning quickly how players go about approaching each map – especially off the initial spawn – and using that knowledge to help keep me higher up on the leaderboard. Which is a great segue to start talking about Call of Duty. I’ve seen a few articles this week talking about the decline of the franchise’s sales, and that they might continue through this year. I’ll talk about that a bit more on Friday during the news recap, but I really think that’s totally overblown – the series is actually I think in a pretty good spot to be. 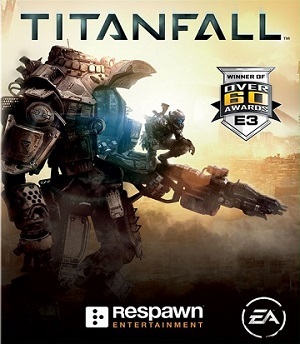 But it is a series in flux – Titanfall really helped illustrate that gamers were open to a change. Destiny, for all it’s flaws, provides players with a real unique option for competitive play. Where Call of Duty really stands out is in Pro/MLG – Destiny and Titanfall really don’t function well as a truly MLG option. There’s such a close tie with CoD and Halo with MLG that I think both will have strong upcoming rotations. As for lessons that you can learn from the Call of Duty franchise, it’s a little hard to pinpoint them. The series is so diverse from game to game, but there are a few important things to keep in mind. Map knowledge continues to be incredibly important, but what I’ve found more so is communication. In the other games I’ve pointed out, it’s pretty easy to excel while being a lone wolf. While it’s still possible to do that in CoD, especially in Team Deathmatch – playing any objective game, it’s much more important to have at least a couple teammates that you can talk with. It gets you more kills, less deaths, and a much better chance to win the game’s objective. One of the things that I’ve always liked about shooters is that they allow me to play exactly how I want. Over the course of the last 18 years or so, since I’ve really been playing them, I’ve been able to determine what exactly that playstyle is for me. What I’ve learned is that I am a fast-paced, close range, reckless guy online. I play the objective, I like being in the thick of things. And I like to think that I’ve learned a lot over the years playing these games. They’re fun games, that tend to dominate sales every year; but still get flak online for being “fluff.” Chill out and enjoy the firefights – it’s a really wonderful time to get into shooters after all. I’ve been a fan of First Person Shooters for a long time, going way back Quake II on the PC. As I’ve gotten more cognizant of how the industry works over the years though, I’ve come to notice something about the genre that goes back almost to those early days. It’s easy to look at the games in the genre and say that they all look alike. The basic form and function of the genre really hasn’t changed much since Wolfenstein 3D all those years ago. What really defines the whole genre is the trends the games follow, which tend to come in waves. With the new console generation, this is actually a great time to look at the genre, since we’re getting a whole bunch of new shooters; they may be all different games and tones, but they all have the same basic new trend behind them. Looking back first though, I think that the major trend of the last wave of shooters really can be difficult to pinpoint. There was a big influx of 3rd Person Shooters that were really popular with the Gears of War series and the Mass Effect games. With those games, it was incredibly important to have a good cover system in place. That idea sneaked into FPS games as well, especially in the Call of Duty and Battlefield games. As those games added in the ability for weapons to penetrate certain materials, picking and choosing cover became a part of the game; as was recognizing what cover you could be behind and be protected, but also shoot over (head-glitching). 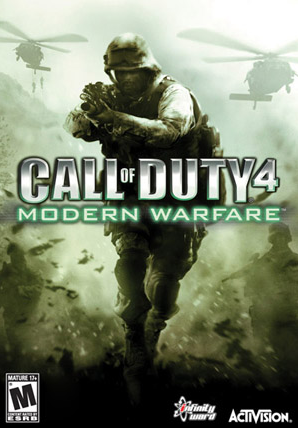 That said though, I think the major trend really can be traced to Call of Duty: Modern Warfare, both in multiplayer and single player capacities. That was the game that really started the trend of huge set pieces during the campaign – something that has become sort of a calling card for the franchise now. In the multiplayer though, it was the first game to have the custom class system. It gave players the ability to tweak how they would play the game – they weren’t reliant on weapon spawns on the map, or forced into playing a specific class. It was super popular, and it wasn’t long before we saw that system creep into other major shooters too. Halo adopted it with Halo: Reach, letting players set up their grenades, weapons and armor abilities, which would continue in Halo 4. And while Battlefield 3 still had the traditional class system that was present in the series since day one, it did allow for a bit more customization within those classes, which is definitely more prevalent in Battlefield 4. Because of the degree of flexibility that the custom classes offer shooters, I really don’t see this leaving the genre, even though there has been a bit of a demand for a return to a more classic arcade/arena style shooter. As the next batch of shooters gets closer and closer this fall, I think it’s become pretty apparent what the trend will be for these “next-gen” experience shooters. It started with Titanfall and now that we know more about Advanced Warfare, Destiny, Evolve and even Sunset Overdrive, I think it’s pretty easy to see that this trend is pretty solidly set in. It looks like the name of the game with shooters this gen will be movement. 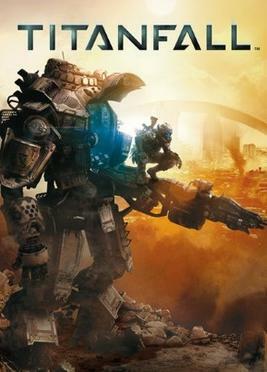 Titanfall added it to increase the vertical nature of the combat, mainly to ensure pilots had a chance against the Titans. Wallrunning and double jumping all over the map really adds a dynamic to the action that was missing in previous shooters. As the game did well early in the year, I was waiting to see if the other shooters were going to follow suit, and sure enough, in their own different ways, they have. Advanced Warfare uses the Exo-Skeleton suit to add in a quick dash to jumps, in any direction, as well as a double jump, bring verticality into the Call of Duty formula. I’m sure that there will still be some amount of traditional cover combat in the game, but I really hope that the general flow of combat is much more fluid and involves more dynamic combat. Destiny has movement tied directly into the leveling of your Guardian. Each class has a different manner of adding in a double jump, with different mechanics as to how they actually work. That ability to get up above the enemy is important not only in the PvE story, but will definitely impact how matches flow in the Crucible. Even with Evolve being delayed till next year, we’ve seen plenty of gameplay footage showing off all sorts of different aspects of the action. Both the Monster and the hunters look to have plenty of aerial options to not only move around the huge maps, but also for combating the other side. Finally, even though Sunset Overdrive is a 3rd person game, and not exactly a traditional style shooter, they’ve taken the idea of movement and motion to heart. Wallrunning, jumping, sliding and grinding all play into not only how you move around the world, but also the action as well. Shooters tend to be generally the most popular games every year, and while this year isn’t as much about Call of Duty VS. Halo VS. Battlefield, it’s still a stacked lineup of shooters this fall. It’s still really early in this generation of games, way too early to tell if this emphasis on movement will stick around the whole generation, but it definitely has infused a sense of energy into the genre, which I think kicks the fun level up a couple notches. To help ease the pain of the Destiny beta closing last week, EA and Respawn were nice enough to give us the second DLC pack for Titanfall, the Frontier’s Edge pack. Just like the Expedition pack, it comes with three brand new maps, and a new game update to go along with it. I’ve spent a pretty good amount of time since it dropped learning the maps, so let’s walk through the DLC and game update 5. The back story behind the map selection for Frontier’s Edge begins with Dig Site, a huge mining complex set way out on the outskirts of the Colonies. On first glance the map can be a bit overwhelming – there’s a hell of a lot going on in this map. Not only doe the map have the necessary open spaces for Titan combat, including longer sight lines, but there is also a large number of interior settings, meaning Pilots have tons of different routes to take, both vertically, and horizontally. After a few rounds on the map though, it starts to click – at it’s core, it’s essentially a big circle. Picking and choosing how you navigate around the map really is how the flow of the game can change. I’ve had a couple matches where the complexity of the map resulted in decent chunks of time where I never saw other Pilots. What surprised me about this map is how well Titan combat works on it – there are large chunks of the map that are open and built for Titans, along with plenty of side routes to take to get behind enemies. Achievement-wise, Dig Site has very similar map specific achievements to War Games from Expedition; all three maps have one to get a win, and another to play every game mode on them. Dig Site’s map specific ones require you to get 12 Pilot kills in one match, and to kill 50 Pilots total on the map. They aren’t too difficult, playing CTF or Hardpoint makes getting the 12 kills a lot easier. Following the path of the story, we leave the mines to head to the shipping center with Export. Of the three, I think Export might be my personal favorite to play. It’s got nice sight lines that make it easy to pick up on Pilots, as well as plan your wall runs and jumps to get from point A to point B. It also has a good balance of interior spots that give you a little protection from Titans, as well as housing objectives in other gamemodes. This is also the first Titanfall map that features a map specific set piece – inside the top floor of the main warehouse, there’s a large electrical column. Shooting that column sends a massive electrical attack up the main supports to the opposite side of the map – electrifying a fence, and eliminating any enemies in the area. It’s a map that it’s really possible to use just about any play style. One thing that I wasn’t a huge fan of is how the Last Titan Standing match I played went. It could have been just the team I was playing, but one spawn really seems to promote sitting back on the high ground and letting they others come to you. The achievements for Export aren’t too bad – win a match, play each game mode, get a kill with the electro trap, and kill 25 enemies while cloaked. The cloak one is made easier by allowing AI kills to count, plus the map just allows cloak to work really well. Finishing out the back story, we’ve reached the nearby luxury resort town that has been rolled up into the conflict, Haven. To me, Haven feels like the first map that really allows the snipers to shine – there are some really long sight lines on this map, plus a real strong emphasis on vertical combat, with lots of different levels to be on. Titan combat feels a little bit more “plain” since there aren’t quite as many ways around the map – mainly focusing on the outer roads and the main courtyard. For the most part, all of the buildings, save for one, are open only to Pilots. The building all have multiple floors, as well as multiple ways in and out on those different floors. Haven is a map where you really get good at wallrunning and making your jumps count, especially with a close range loadout. Cloak works well to keep you hidden while sniping, or making your runs out in the open; stim helps you get through those runs faster, and with the upgraded health regen; while radar pulse really is useful to help see people that might be above or below you. The Achievements on this map are a little different – the standard win a match and play each mode achievements; but the map specific ones need you to be good with Titans. First, you need to kill 15 Titans while you have a Titan burncard active – some of the Titan cards will really make this much easier – especially the Amped Cluster Missile or Amped primary weapons; secondly, you need to execute two Titans in one match. This one is a little trickier since it not only requires you kill Titans, in a Titan; but also you have to rely on the enemy not having Auto-Eject on. From what I have been able to tell, auto-Titans don’t count, but I’m not 100% on that yet. One thing that I think Respawn has done tremendously well with Titanfall is supporting the game post-launch. Both DLC map packs have been very strong offerings, as well as the actual title updates addressing the issues in the game, and adding in extra features to boot. The fixed Titans in CTF early, they added in the Titan customization, they added in featured gamemodes; all while addressing other gameplay issues. With title update five, Respawn has added in the Black Market, a way for max level characters to still get Burn Cards, even after challenges have been completed. Performing well earn you credits which you buy the packs with. The other nice thing is that they’ve said no microtransactions at all, instead all the credits come from in game. Also added in with this update was daily challenges, giving more ways to earn credits and XP. For whatever reason, modern FPS games get a bad rap these days when it comes to their single player campaigns. That partially due to the rise of console online multiplayer becoming more popular, which lets more people play that might not normally do that. Because more gamers are playing online now, developers are putting a lot more time into crafting a multiplayer mode that has longevity, depth, and a strong social element. In order to do accomplish that, that might mean that the single player has to take a back seat. It’s a pretty standard internet argument against Call of Duty – every game is the same thing, and the single player is an afterthought. I would argue that the Call of Duty campaigns are far from the worst experiences out there. Look at another FPS from the last few years – Bulletstorm – developed for a single player experience, I wouldn’t say that it is a better experience than any of the Call of Duty games. That having been said, this past round of shooters – Battlefield 4 and Call of Duty: Ghosts committed one of the worst offenses that I think any campaign can. It amazes me, that in 2013, the two biggest shooters of the year would release campaigns with silent protagonists. That might have worked back in the Doom, Quake, and Unreal day, but as the general overall quality of games has gone up, the mute protagonist I don’t think really has a place in modern story-based gameplay. In some cases, notably in RPG’s you can get away with a silent protagonist, but the best examples of those games have some level of characterization through dialogue trees. 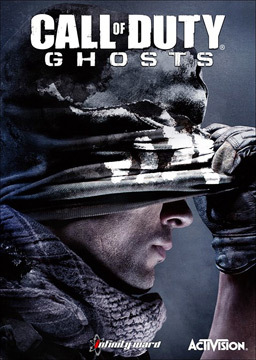 In both Ghosts and Battlefield there are a number of moments, both in game and in cutscenes, where the other NPC’s directly ask questions to your character – who responds by staring back at them blankly. Now for some gamers, that might be fine; but I think that that course of action kills the immersion, taking me right out of the story. 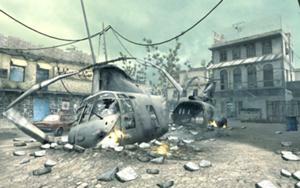 It’s especially frustrating in the Call of Duty games, where silent protagonists gain the ability to speak in between games – Soap from Modern Warfare 1 to 2 is a major example. I think it was especially grating last year since BioShock Infinite showed that an FPS can have a fully characterized player protagonist, who voices his thoughts and answers questions asked of him, and still have a fantastic experience. This coming year I think will be an interesting one when it comes to shooters. As of this writing, there hasn’t been a new Call of Duty announced, although we all know one is coming; and while Microsoft has said a Halo game is coming this year, I have a feeling it will be the Halo 2 Anniversary Edition that’s been rumored for a while, since it’s the ten year mark for it. 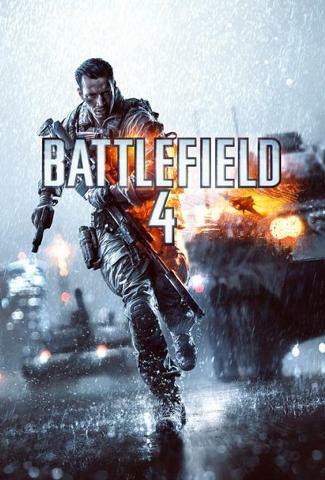 Add in that Battlefield hasn’t really been a yearly series, and Medal of Honor is all but dead, I think that leaves the door open for the two new kids in school – Titanfall and Destiny. Both look like they are taking new, unique approaches to the genre, in terms of blending story and multiplayer. Titanfall has said that they won’t have a traditional campaign, instead telling the story through the online multiplayer. Destiny looks like it’s blending shooters, RPGs and the persistent world of MMOs to craft a truly unique and new experience. All that’s left now is to just wait for March and September. Over this past weekend, Respawn Entertainment held a closed beta/alpha for Titanfall, and because the internet exists, some footage of course leaked online. While the quality for the footage isn’t the greatest, it does show off a bit more of the gameplay than we had seen previously. There also isn’t much from the Alpha in general, since players were made to sign an NDA before playing, to the point where most clips have already been pulled, but they did exist long enough to get me a bit more excited for the game than I already was. First off, the game looks pretty good running on the Xbox One/PS4. I was a little skeptical when they announced that it would be 6V6, with a number of AI bots filling out the rest of the lobby, but seeing it in action, it works out pretty well. It reminded me of how the AI works in games like League of Legends, acting more like fodder and filler, but still filling a role in the context of a match. While the actual AI looked a little rough, there is still a little time before release to tighten up the AI. To me, the real meat of the footage is the actual way the game plays. Based on the info that they had already shown, I saw Titanfall as sort of an amalgamation of Tribes and Call of Duty, with maybe a hint of Battlefield 2142. 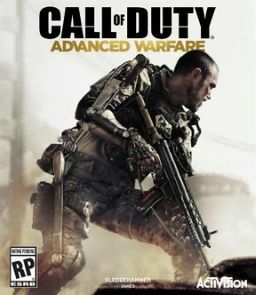 After seeing it in action, it certainly plays like a more agile version of CoD. The way that the pilots are able to move around the map allows Respawn to make maps that take advantage of the wall running abilities and include more verticallity than the typical Call of Duty map. The real kicker is the addition of the Titans. They really change the game to a more asymmetrical style, with the on foot pilots taking down the Titans, as the Titans cause some serious damage. The other really cool thing about how Titanfall approaches the multiplayer is that from all accounts it looks like the story of the game will be taking place through the actual multiplayer. I like how it looks like it ties in through little gameplay mechanics like when a team loses, the players have to rush back to their dropship in order to escape, which I think is a neat little touch. All said, the little footage that leaked really got me more excited for March 11th.